The calorimetric and thermometric thought experiments have introduced the specific energy and vis viva. Next we compare differences in these quantities to define internal energy and temperature. This requires another binary description as follows. Tampan, Paminggir people. 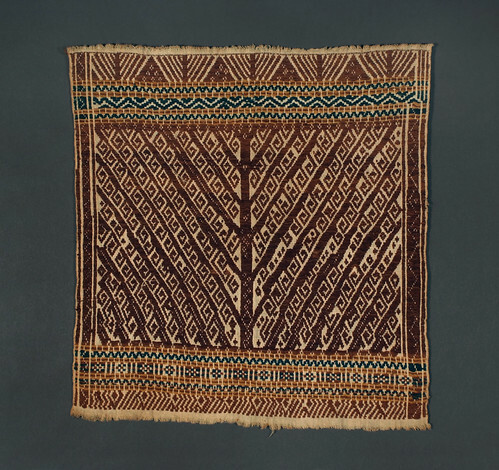 Sumatra 19th century, 44 x 47 cm. From the library of Darwin Sjamsudin, Jakarta. Photograph by D Dunlop. Let X denote some generic sensation. Try to compare X with the reference sensation of hearing a heartbeat. Report the result using one of the following algebraic statements. Definition: the number $\varepsilon$ is called the audibility of a sensation. As an example, consider Anaxagorean sensations which are always perfectly distinct and sensual by definition. Then $\varepsilon =\pm 1$ for any Anaxagorean sensation and its associated seed.